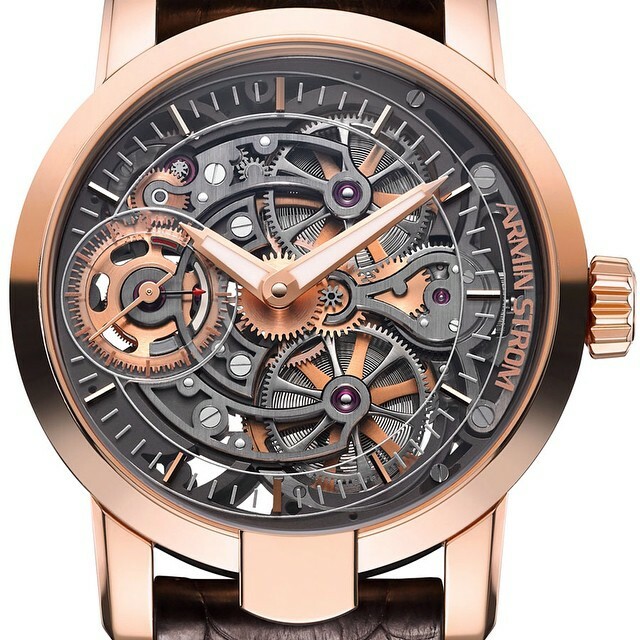 Earlier this year Armin Strom came under the radar of every watch journalist thanks to their stunning “One Week Skeleton” model. 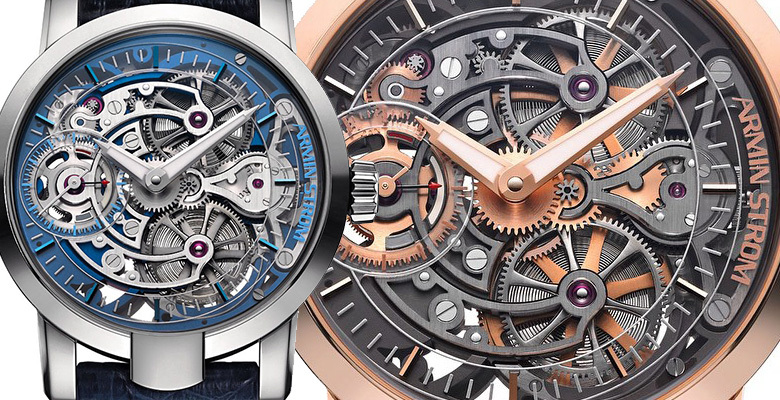 Now the company are making headlines once again with the unveiling of two new limited edition models which form the beginning of a new series titled the “Skeleton Pure” collection. 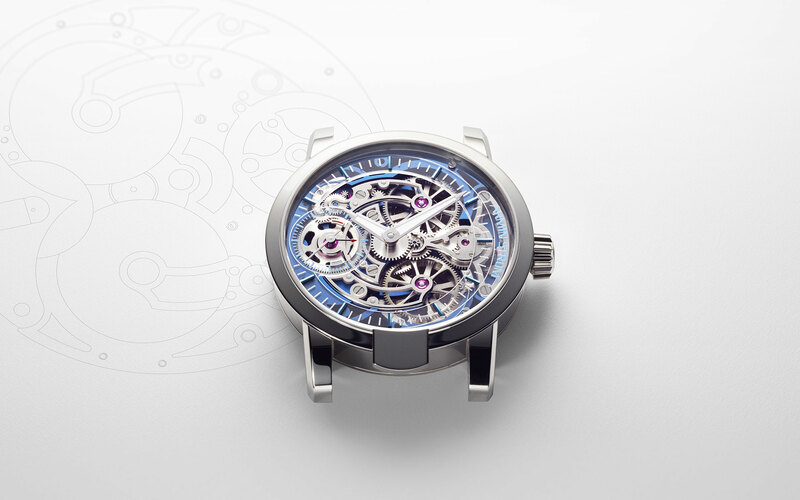 Armin Strom are no strangers to the art of reducing a movement to its bare bones, also known as skeletonisation. When Armin Strom founded his eponymous watch company, his first masterpiece, a gold pocket watch featuring a hand-engraved dial in polished lapis lazuli demonstrated his talent for meticulous handworking, a skill which he eventually put to good use within the specialised niche of skeletonisation, and although this particular form of artisan craftsmanship has recently found favour with watch collectors all around the world, Armin Strom can be credited as being a vital part of the success and promotion of specialised skeletonisation techniques. 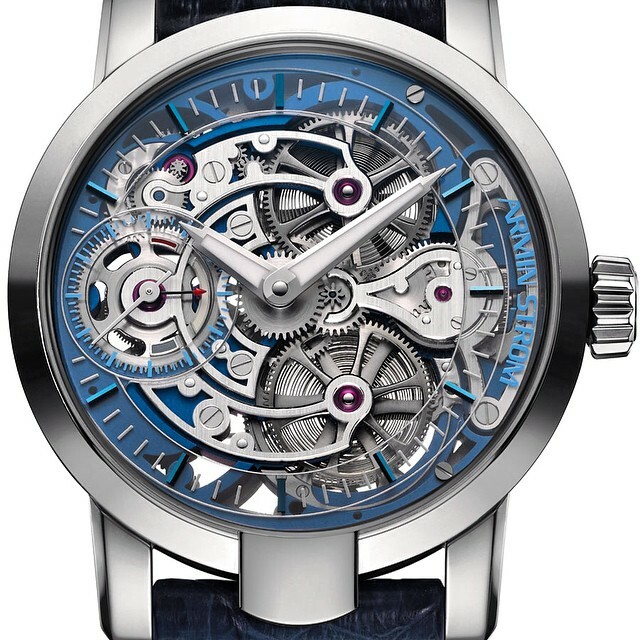 Whereas the One Week Skeleton model featured elaborate decoration on almost every visible component which remained after the skeletonisation process, the new “Pure” models, as their name might suggest are entirely unembellished lending a superbly modern character to the labyrinthine details of the movement. 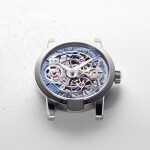 The Pure collection models are powered by the Manufacture Armin Strom calibre ARM09-S handwound movement. This movement has an exceptional 8-day power reserve thanks to its twin barrel construction. 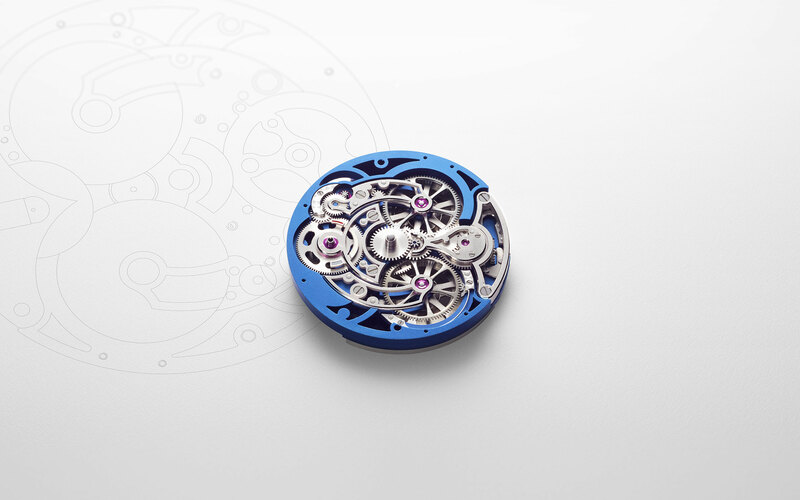 The process of skeletonisation ensures that the exposed barrels become a focal point and their generous proportions are emphasised by the off-centre axis for the hour and minute hands – a quirk of this in-house movement. 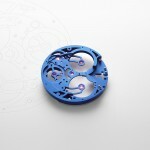 At the 9 o’clock location, a red-tipped power reserve indication combines with the small seconds. 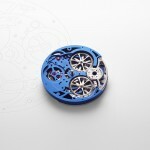 The first two models in the new Armin Strom Skeleton Pure collection, Pure Water and Pure Fire are the first to be showcased with two more set to follow in the coming weeks. 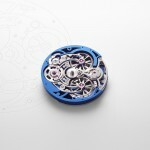 Each model features the Armin Strom 43.4mm rounded case with the unique lip which extends from the bezel at the 6 o’clock, but that is where the similarities end, just like the elements for which they are named, each variation has its own unique characteristics. 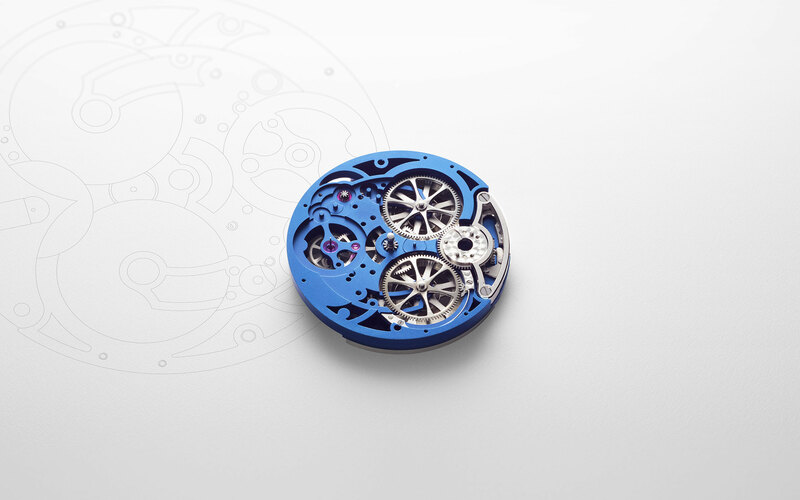 The Pure Water model has a stainless steel case and a main plate with blue PVD coating resulting in crisp, cool aesthetics which have a contemporary character. Its sister model, Pure Fire has the warmth of an 18ct rose gold case paired with a rich dark brown PVD coated mainplate, and is a much more elegant and classical choice. Each model has a sapphire dial ring for the hour and minute markers and a sapphire crystal caseback ensuring that nothing obstructs the panorama of the calibre. 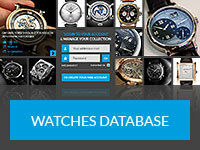 The Armin Strom Skeleton Pure Water and Pure Fire models come delivered with genuine alligator horn-back straps – black or brown for the “Fire” and dark blue for the “Water” model, also in the box will be a spare rubber strap in the same colours. 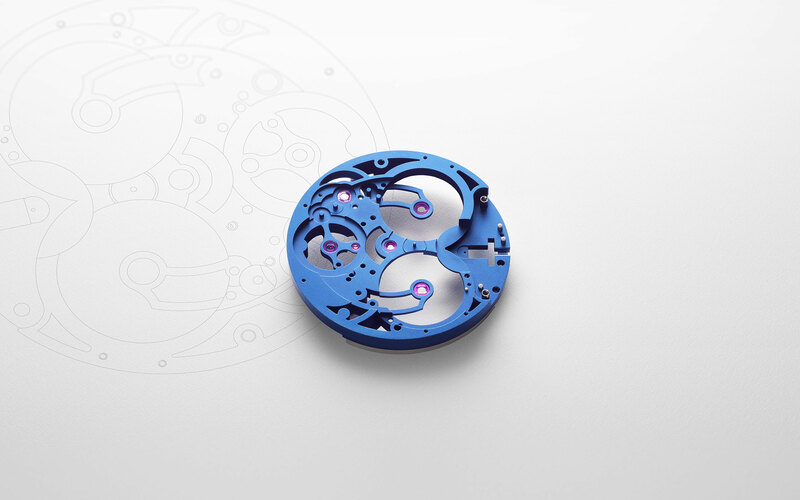 Each model will be limited to 100 pieces, retailing at 28,700 Euros for the Skeleton Pure Water model and 40,200 Euros for the Skeleton Pure Fire model.